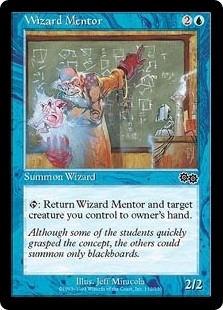 Veil of Birds ($0.04) Price History from major stores - Urzas Saga - MTGPrice.com Values for Ebay, Amazon and hobby stores! Card Text: When an opponent casts a spell, if Veil of Birds is an enchantment, Veil of Birds becomes a 1/1 Bird creature with flying. 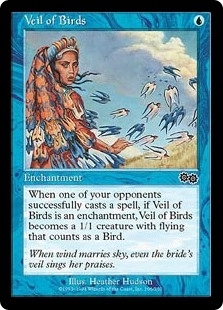 Flavor Text: When wind marries sky, even the bride's veil sings her praises.